This Craftsman style home has a covered entry porch that spans the entire width of the house, providing a perfect place to enjoy warm summer evenings. The exterior features both gable and shed dormers at the front and rear of the house. Partial height walls between the foyer and the dining room, and the kitchen beyond it, create distinct areas while preserving an open feeling. 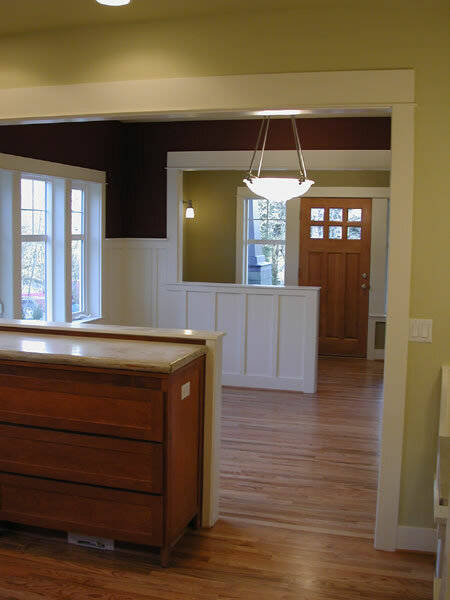 The living spaces are detailed with wood wainscoting, traditional wood trim, and built–ins. 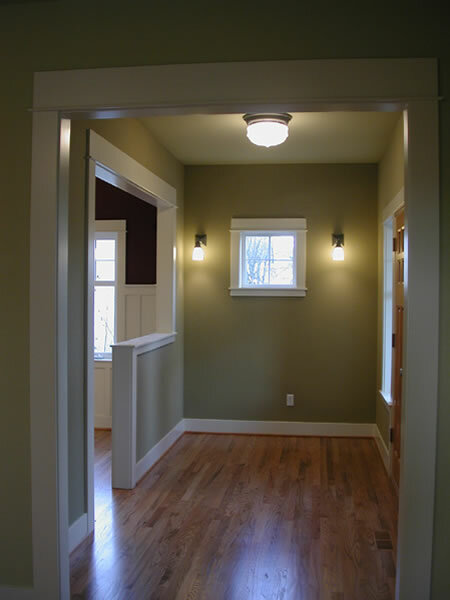 From the covered entry porch, you enter a foyer space that has sight lines to most of the main level of the house. 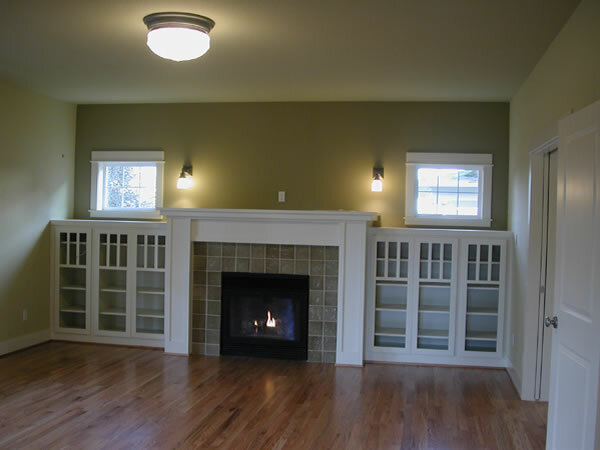 To the left is a spacious living room with a large centrally located fireplace hearth that is flanked by built–in bookcases. Sliding doors divide the living room from the informal den/library, which has a pair of French doors that open onto a private back porch. The dining room is open to the entry, the kitchen and the living room, and its three large windows provide views and natural light. The flexible and functional kitchen features a double breakfast nook for additional eating space, a center island, and a large walk–in pantry at the rear. 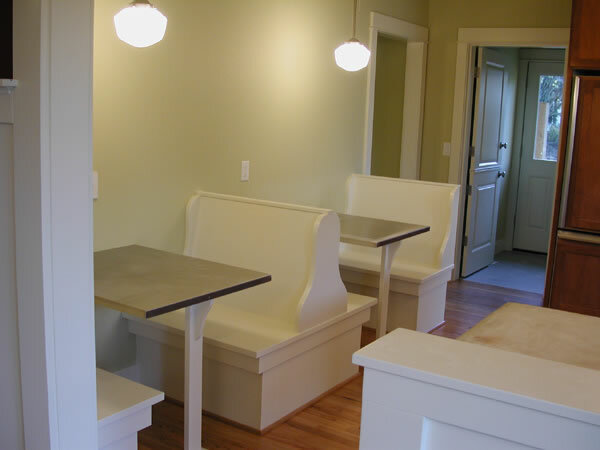 From the kitchen, a small vestibule leads to a powder room, a mudroom, and the den. A door in the mudroom leads to a back porch. The central switchback staircase is space efficient, and leads to a U–shaped upper hall, with four upper bedrooms located at each corner of the house. 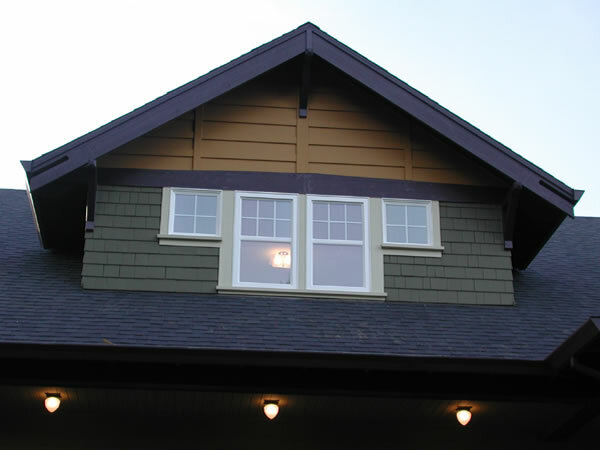 The master bedroom has abundant sunlight from the dormer windows that face the front of the house, and the master bath features both a bath and a separate shower. Bedroom 1 has its own private full bath, while Bedrooms 2 and 3 share a public full bath. 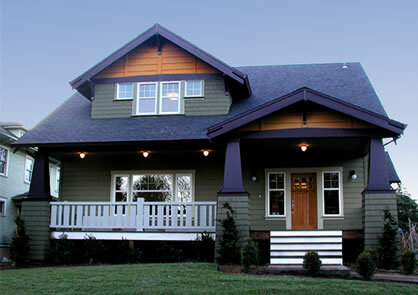 The original homeowners who built this classic Craftsman–style house chose bold colors and varying textures to highlight all the architectural elements. 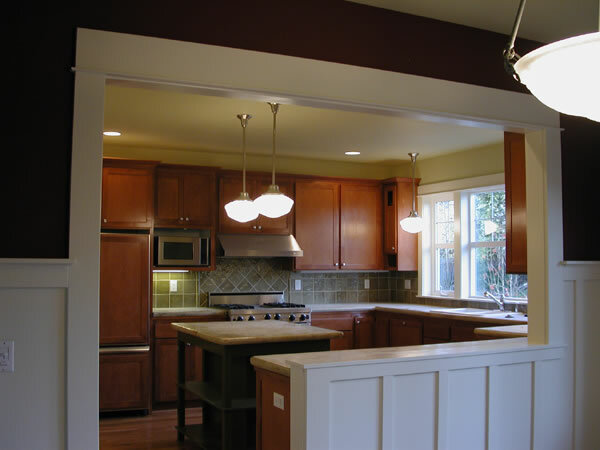 While the look and "feel" is pure Craftsman, the ceilings are set at a comfortable 9', and the floor plan is perfectly suited to the way families actually use their homes. The huge walk–in pantry off the kitchen is one of our favorite elements, along with the views enjoyed by every room in the house.